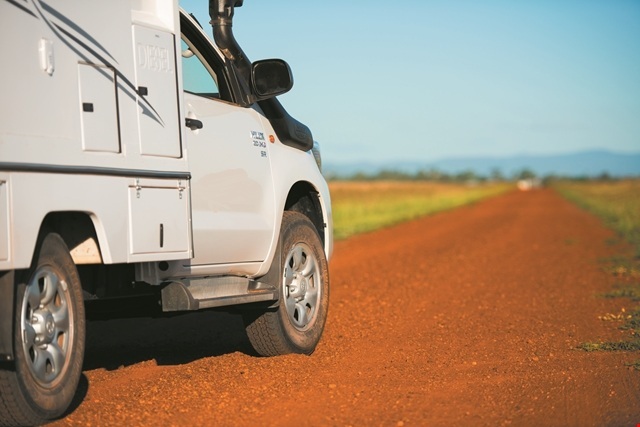 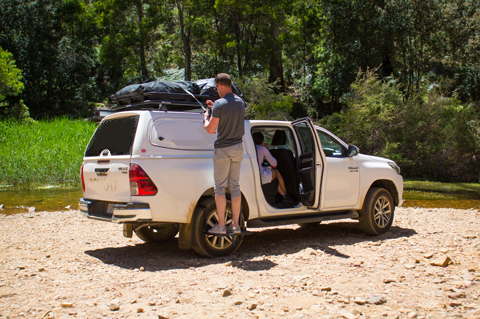 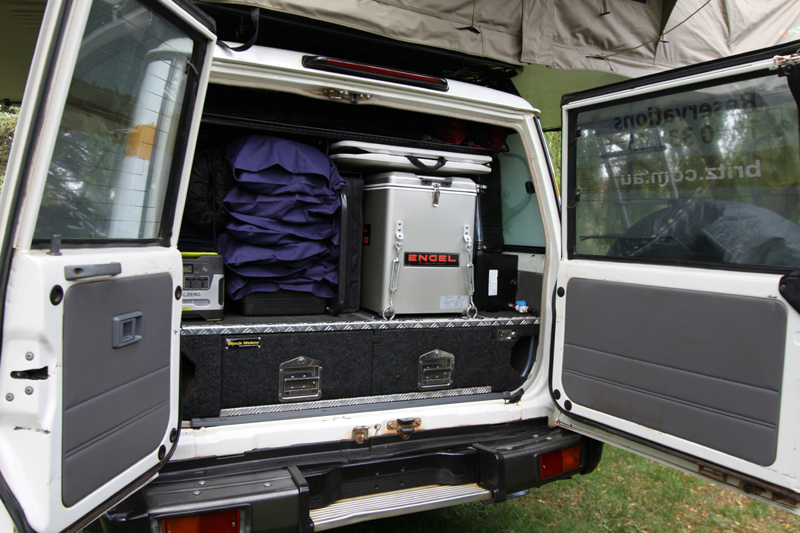 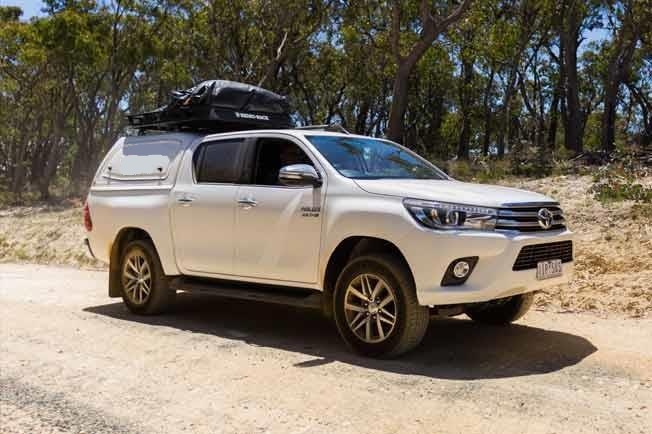 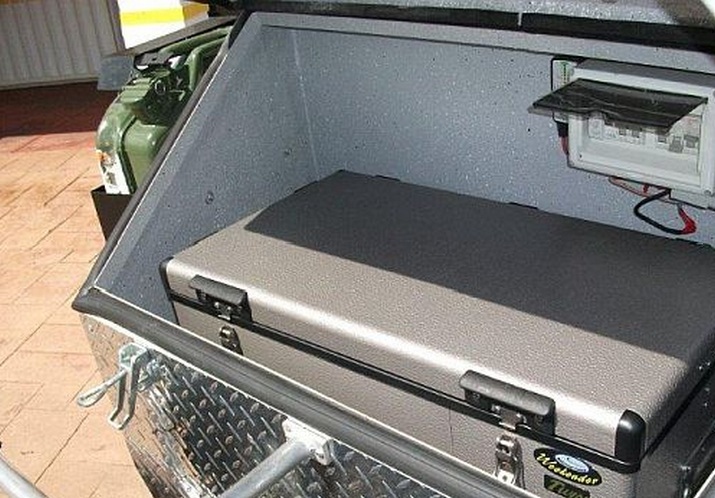 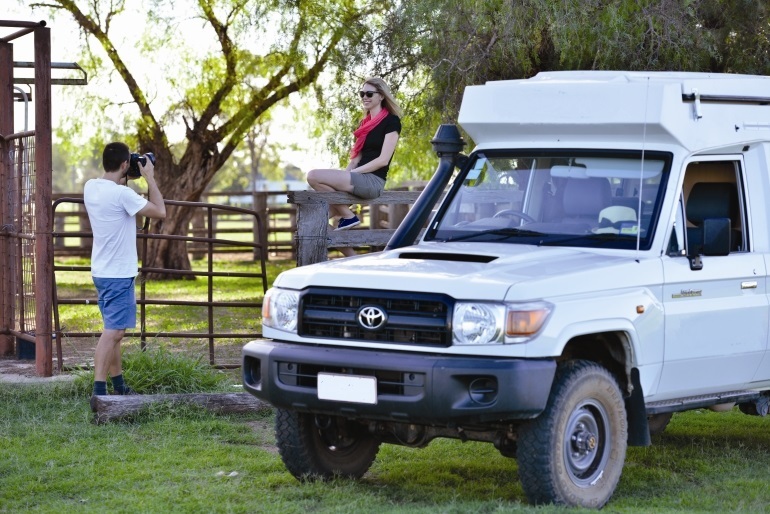 A 4WD hire vehicle is becoming increasingly popular in Australia. 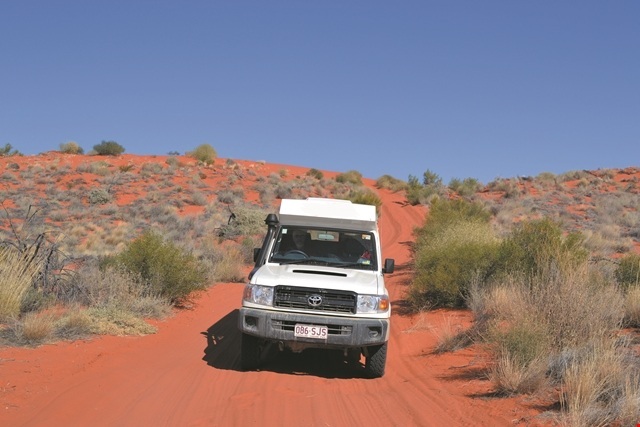 Australia offers a wonderful 4x4 adventure to enjoy the untamed region and wildlife that puts you right in the heart of it all! 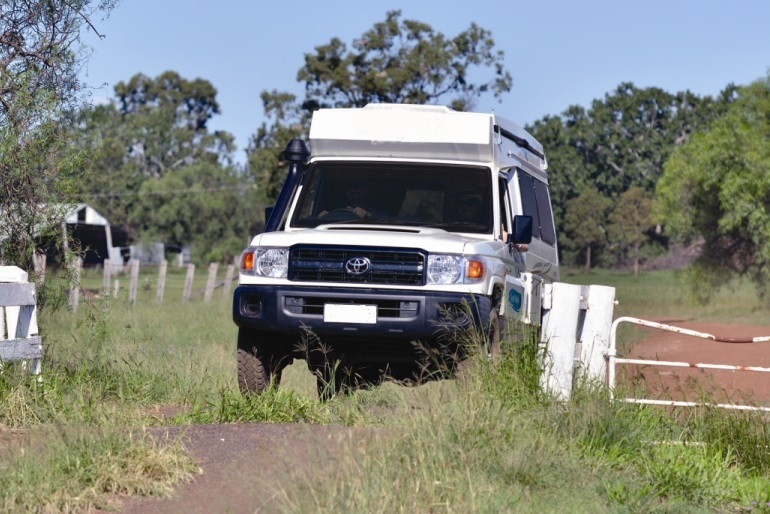 There is plenty of adventurous terrain from snow-peaked mountains, to coastlines, to seashores, and a 4WD hire can take you to areas that are restricted to 2WD vehicles. 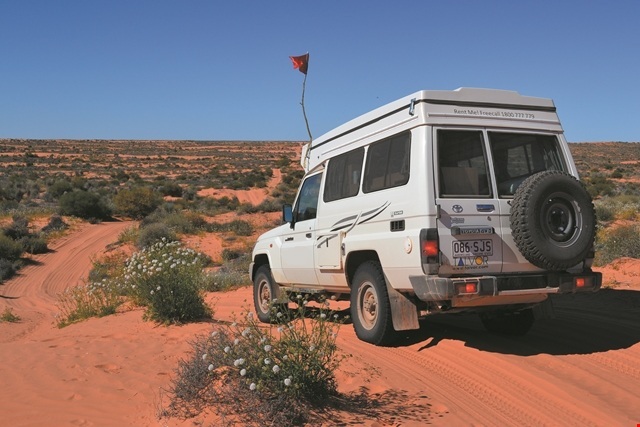 Our beautiful country is one of the largest 4x4 recreational spaces worldwide, and 4x4 hires offer the perfect holiday to explore them all. 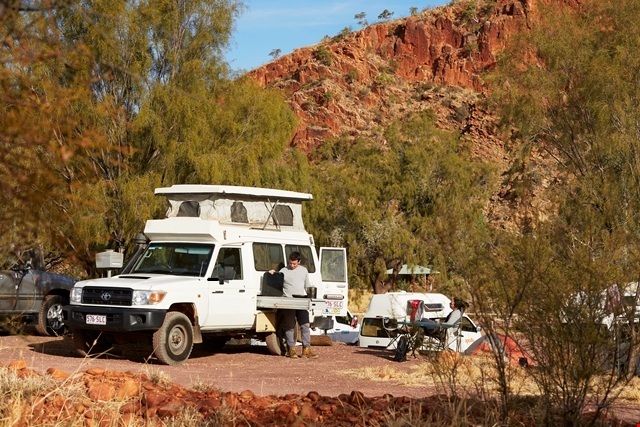 Enjoy Australia’s finest geological attractions of the Bungle Bungle Range or other destinations such as the national park land of Australia, gorges, trails, and coastlines. 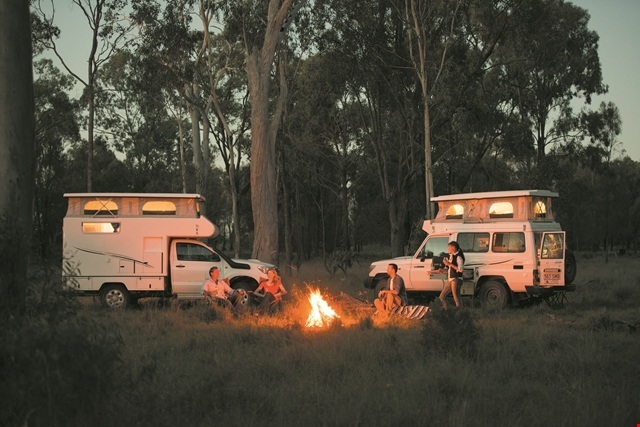 It is a wonderful holiday just waiting to happen. 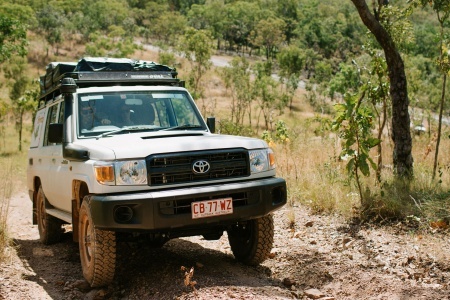 4x4’s are designed so they steer on all four wheels. 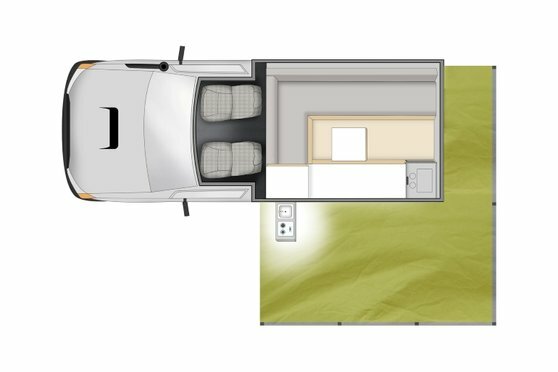 The design is so the vehicle has the most use of its power and control, allowing it to be driven off roads. 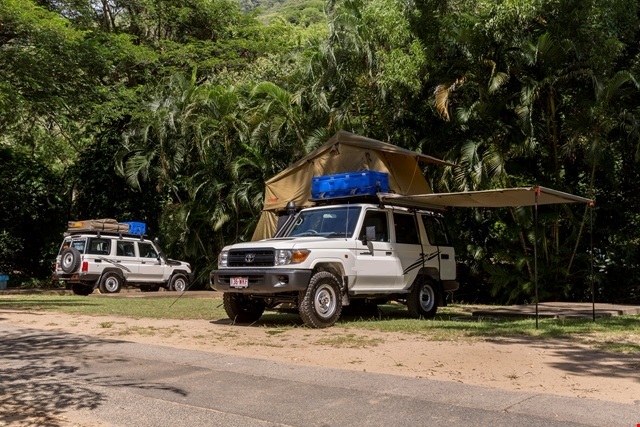 4x4’s are a class all their own which allow you to explore seashores, mountains and rugged terrain that you normally would not be able to explore. 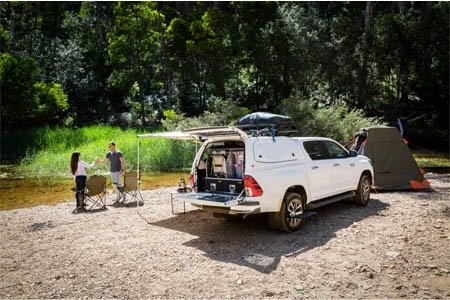 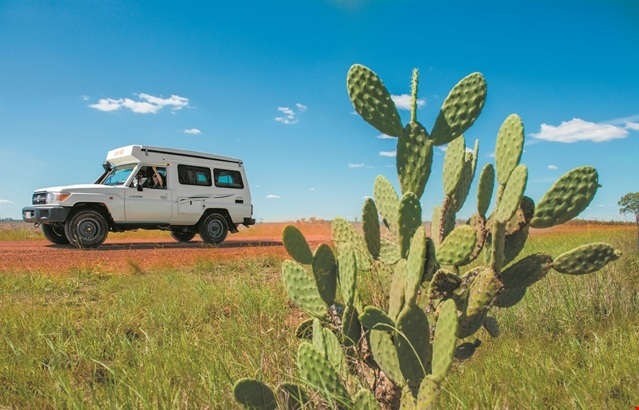 Aussies across the country feel a 4x4 holiday is the best holiday as they can explore areas of Australia that only 4x4’s can go. 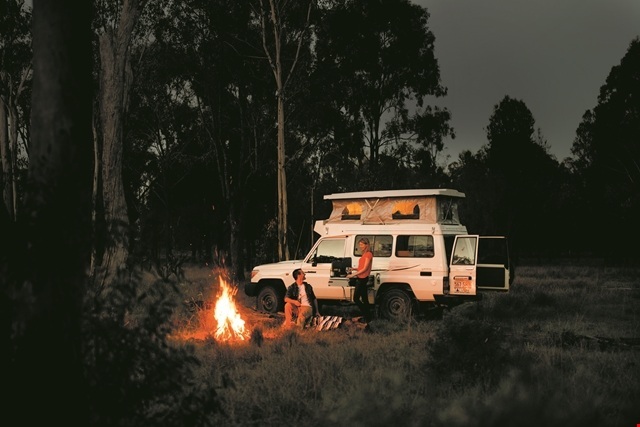 It is a community of adventurous souls that love the great outdoors, fun and excitement. 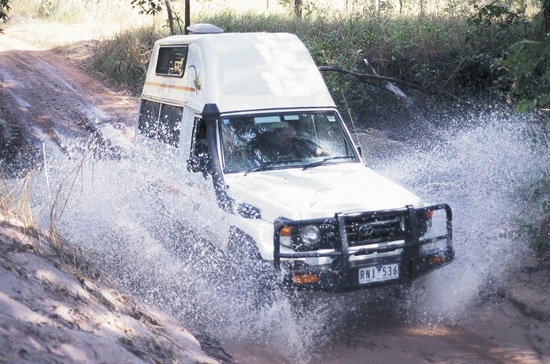 Every part of Australia becomes exciting- the city, the seashores, the coastline, and the mountain ranges, can all be explored in a 4x4 hire. 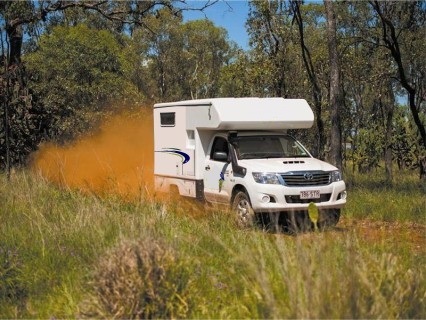 You have the power to travel both on and off roads, and enjoy the wonderful spectaculars of Australia. 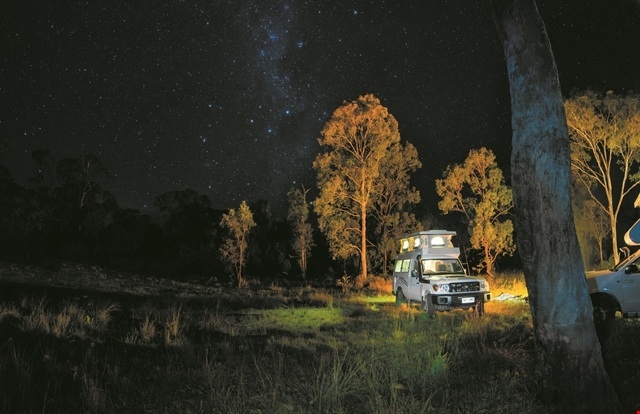 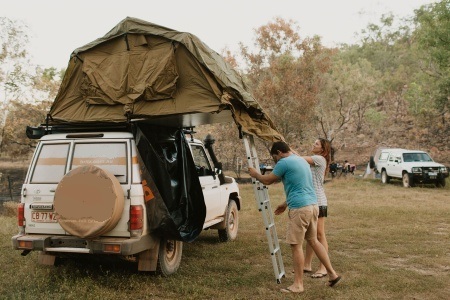 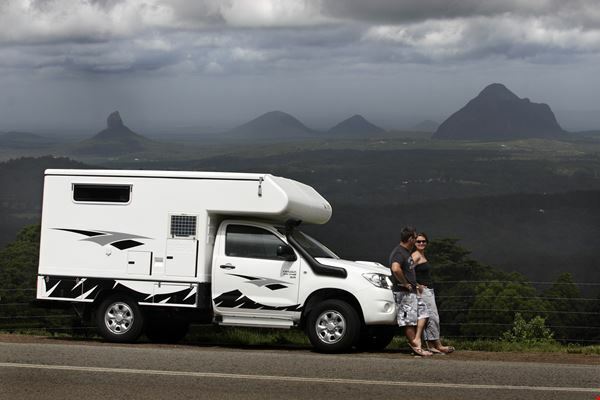 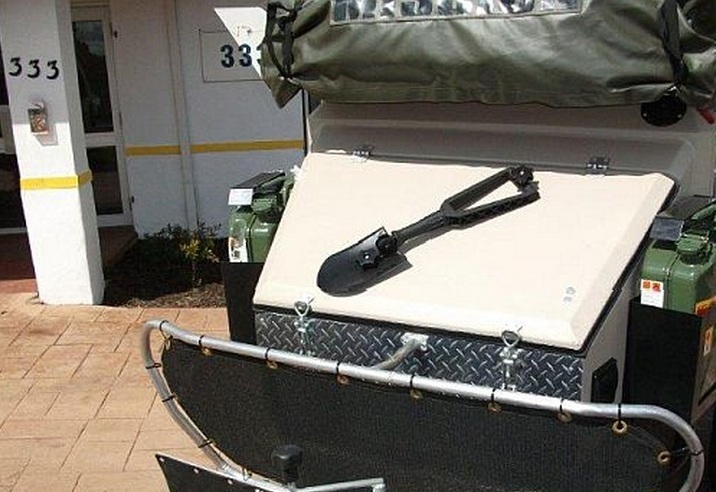 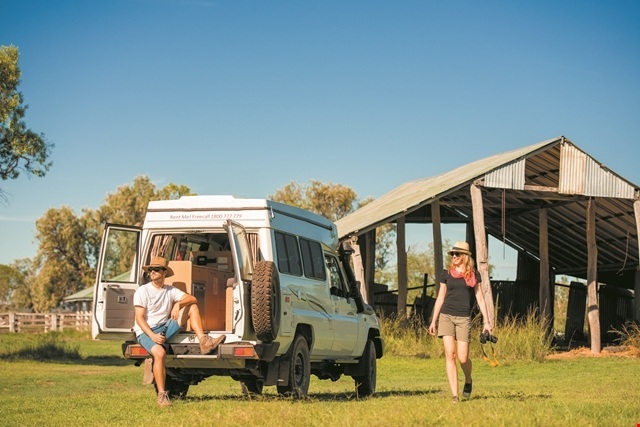 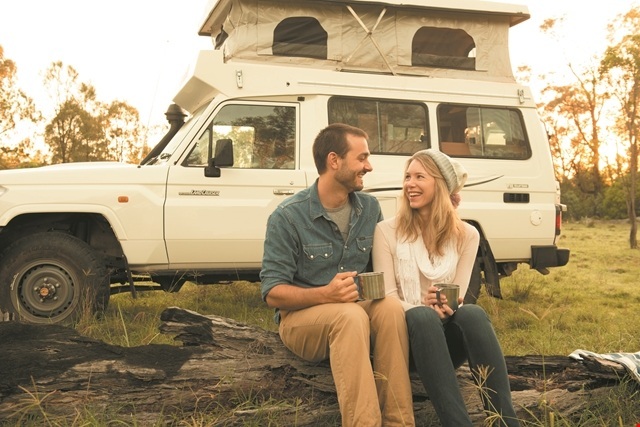 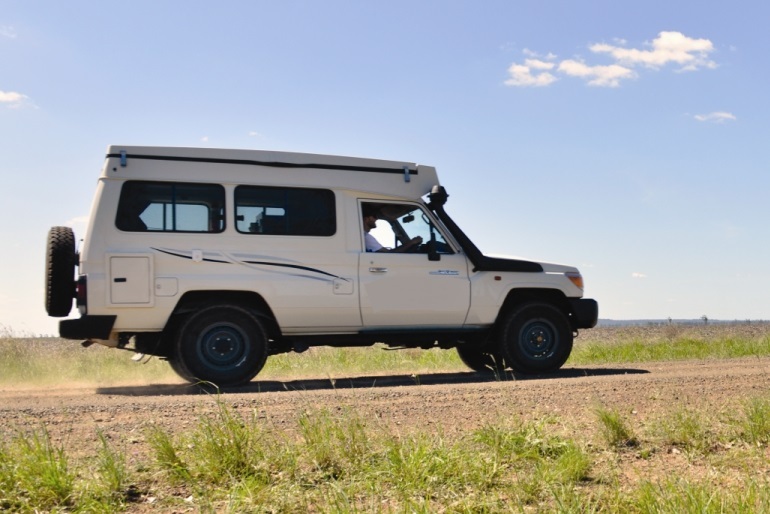 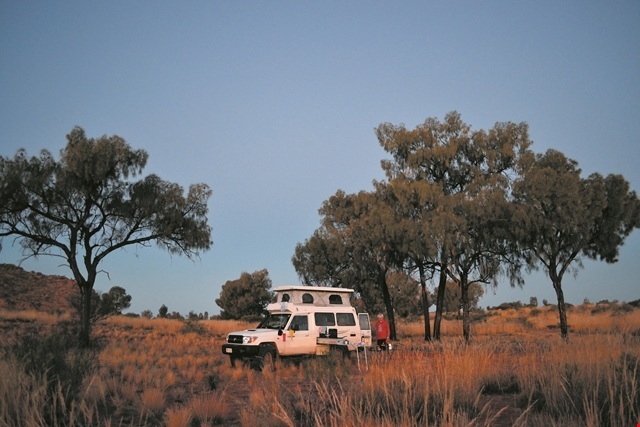 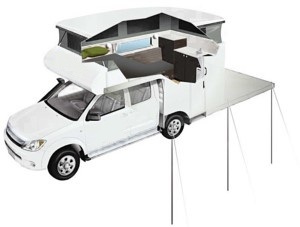 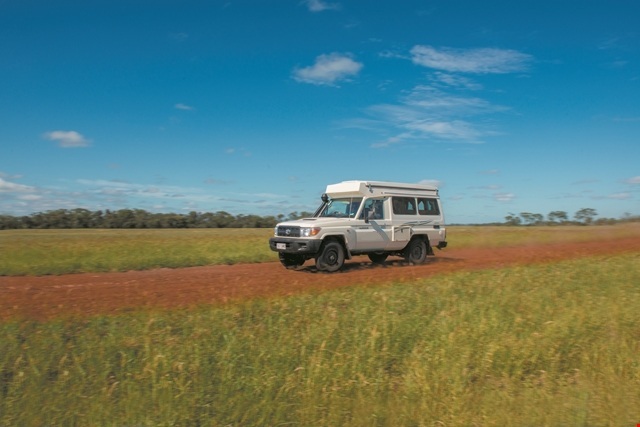 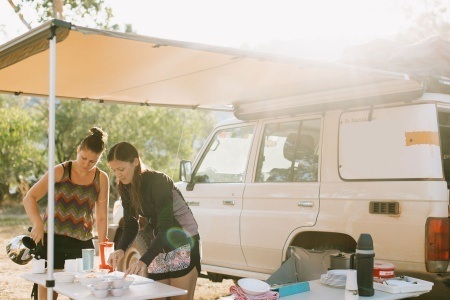 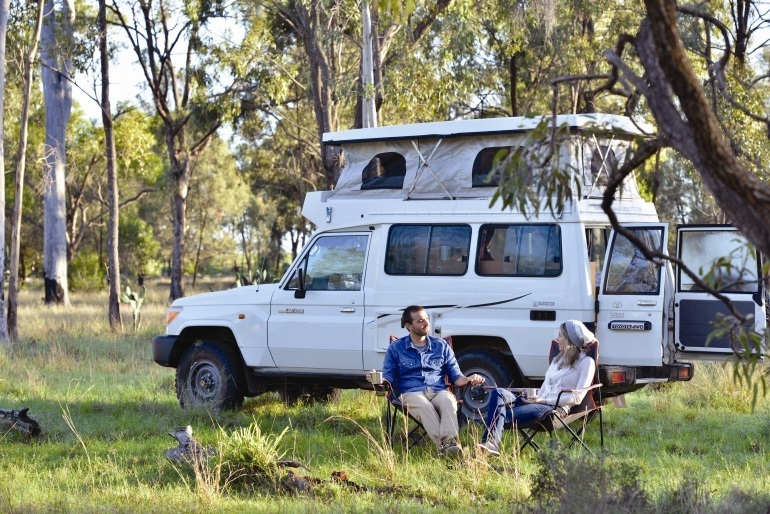 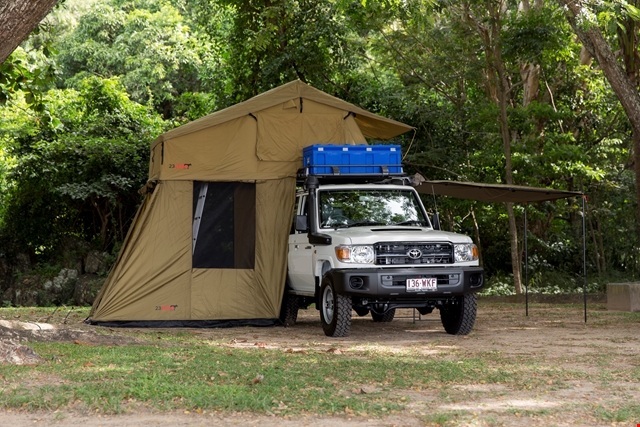 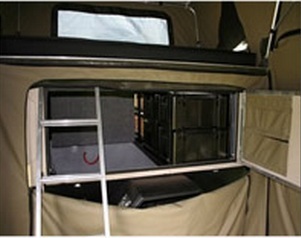 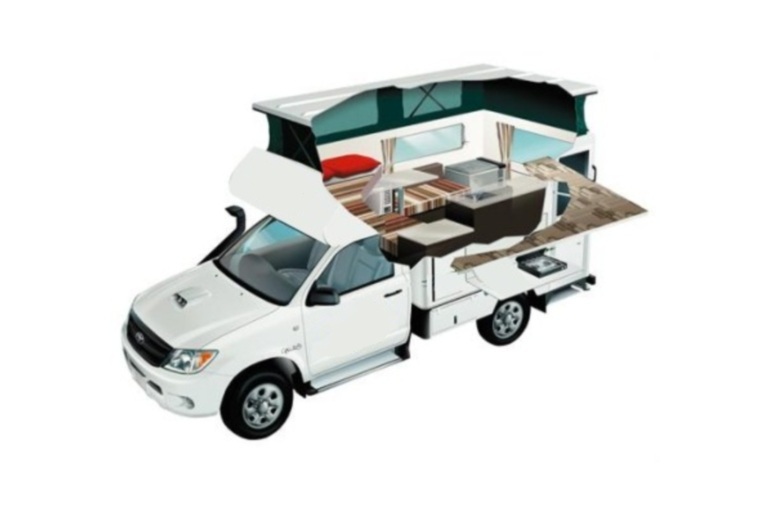 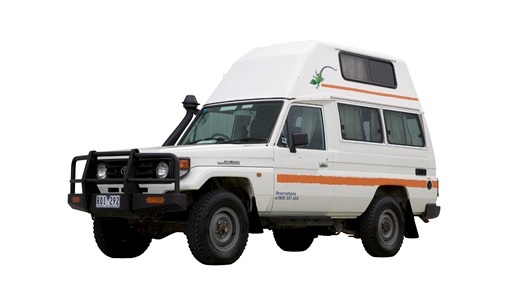 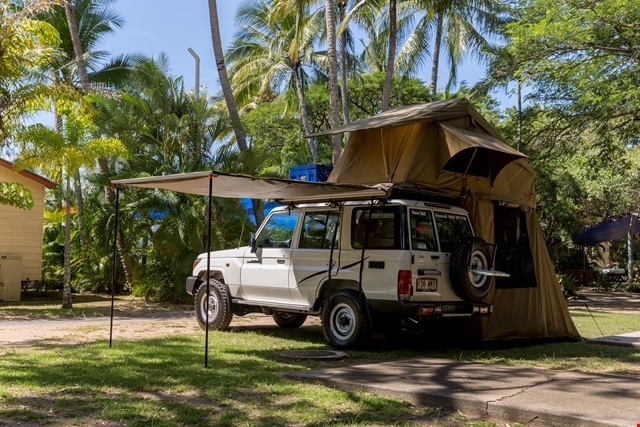 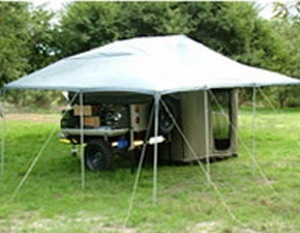 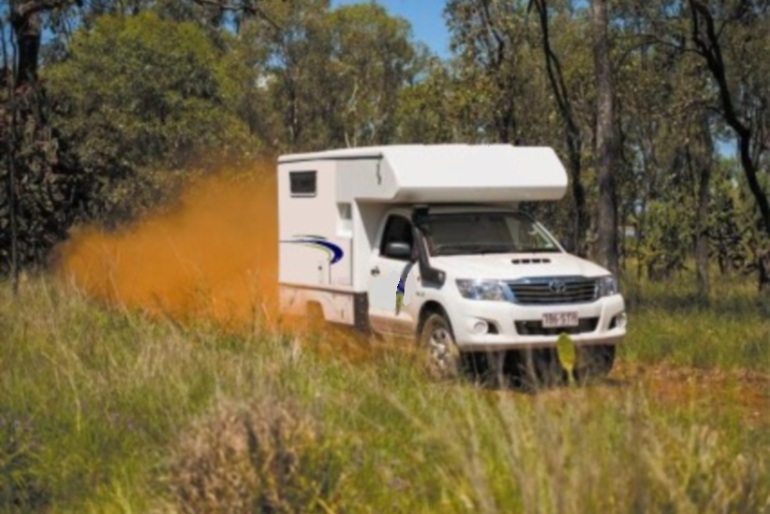 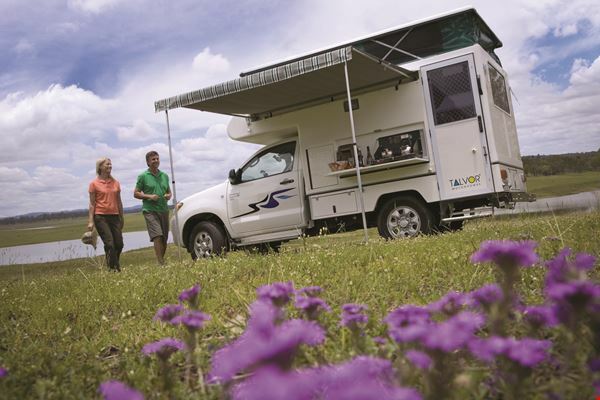 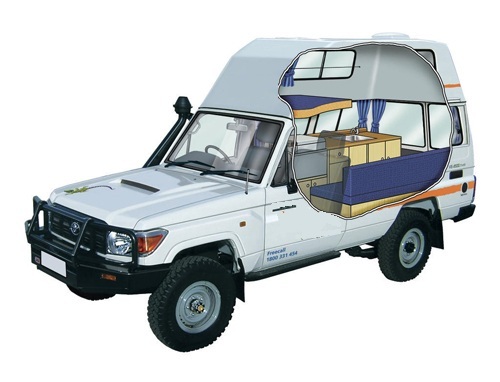 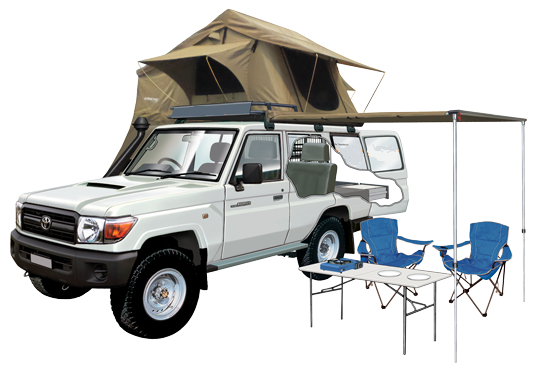 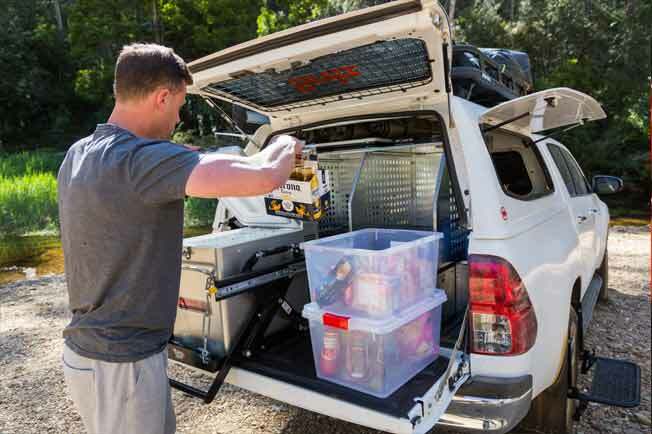 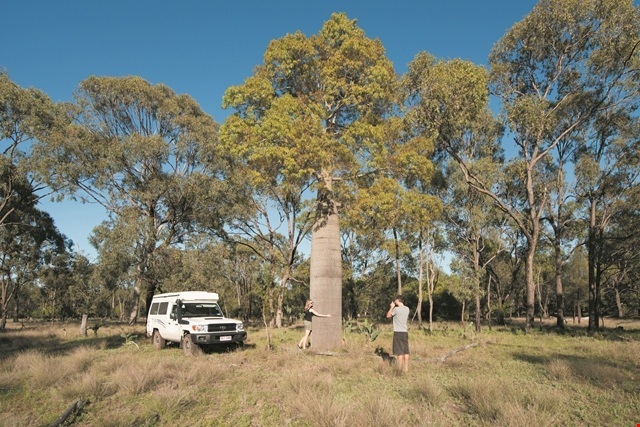 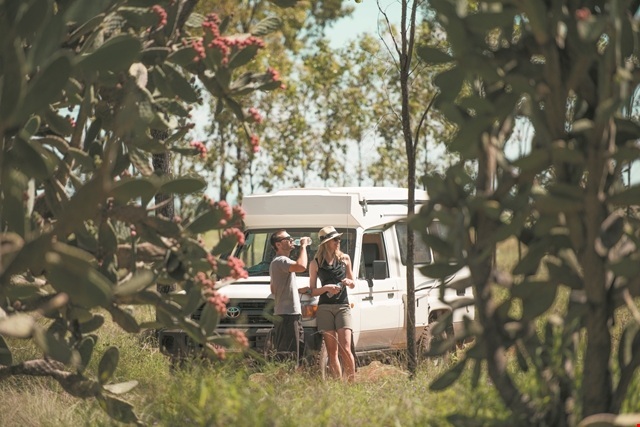 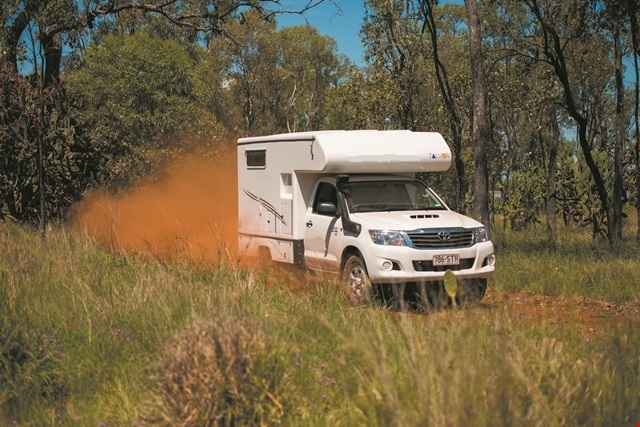 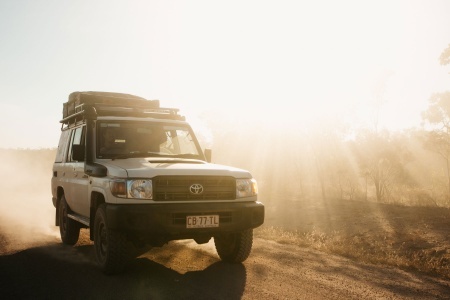 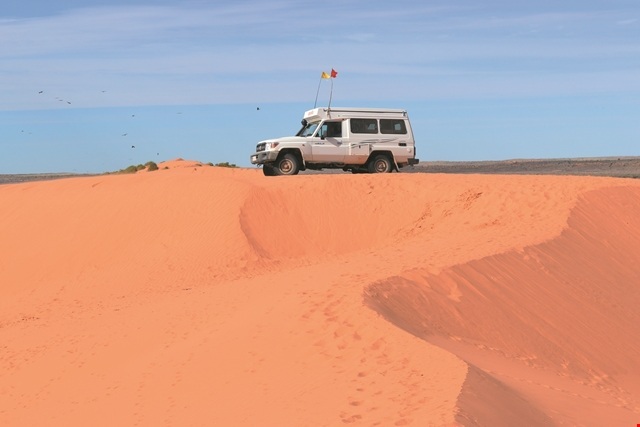 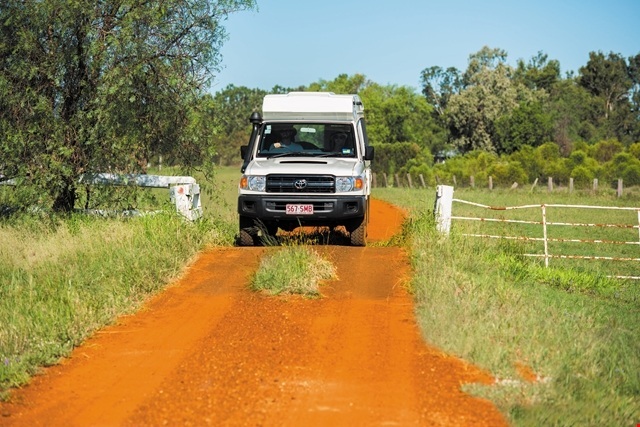 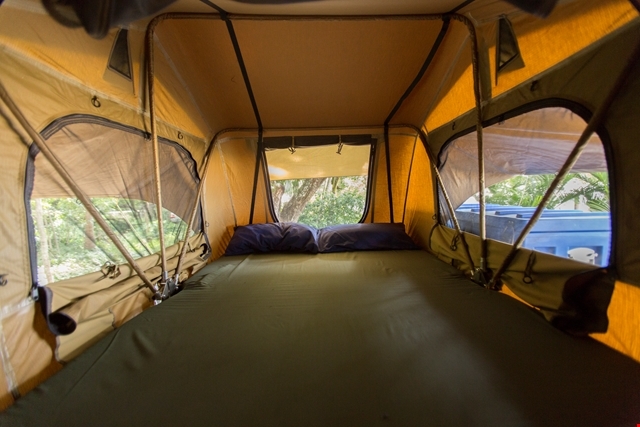 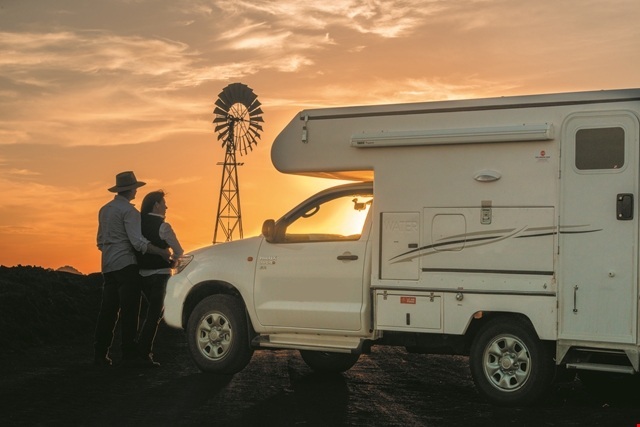 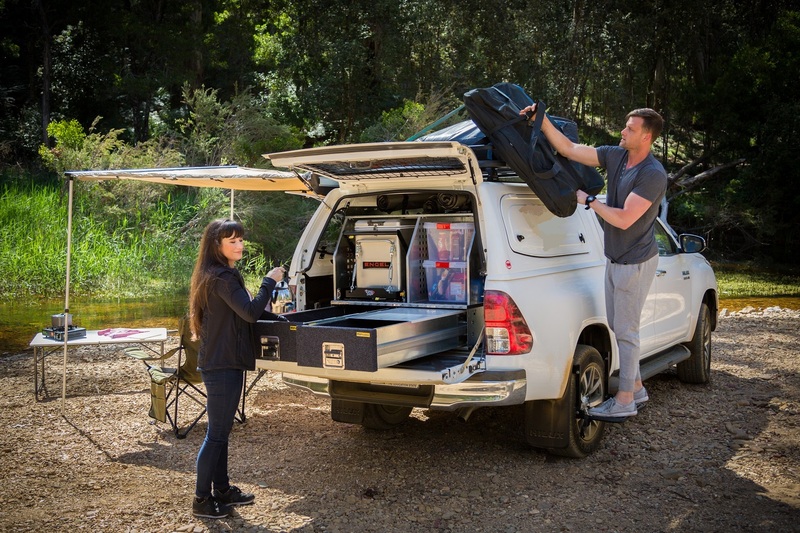 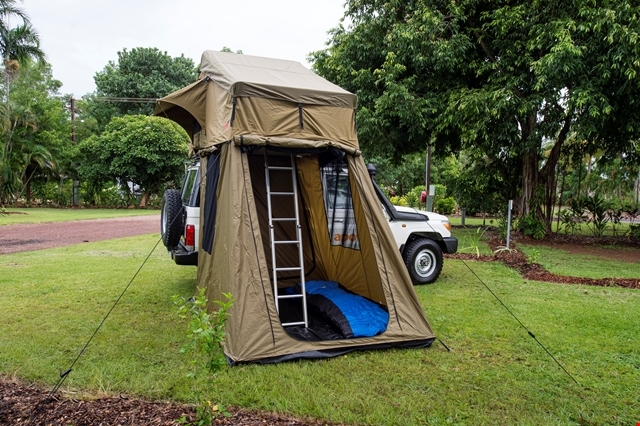 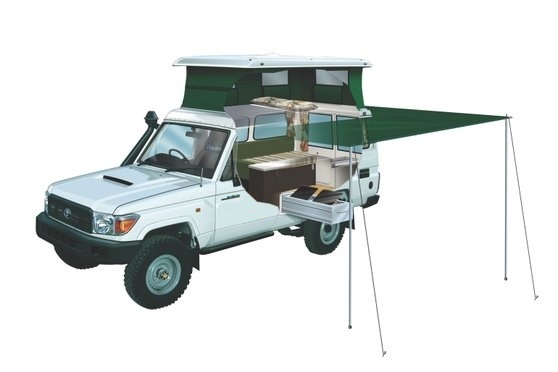 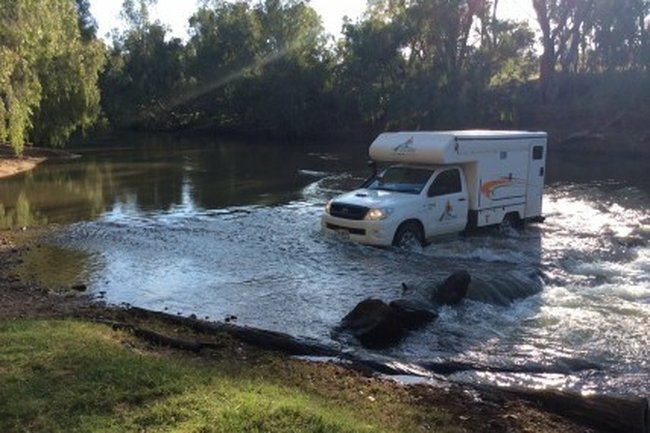 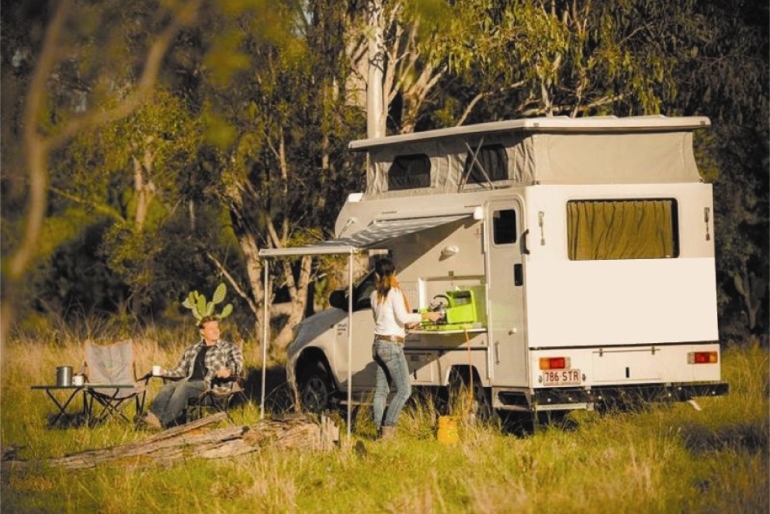 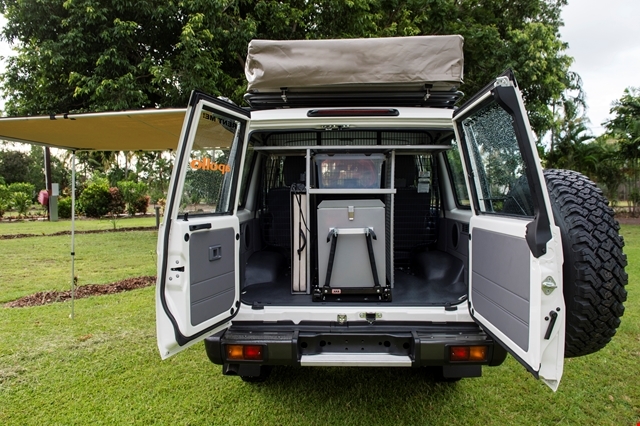 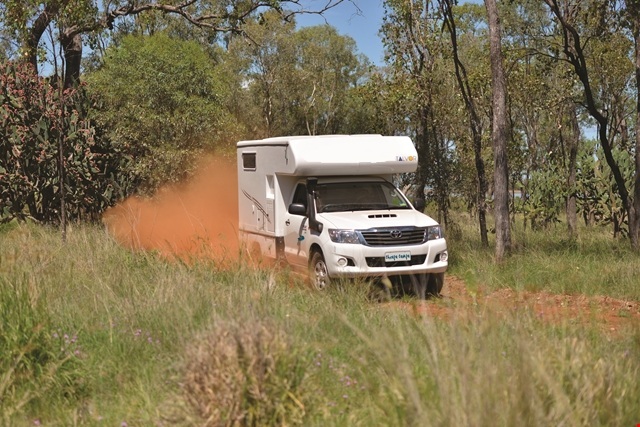 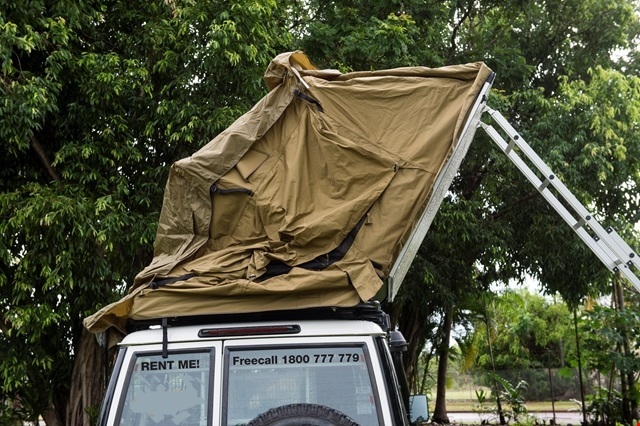 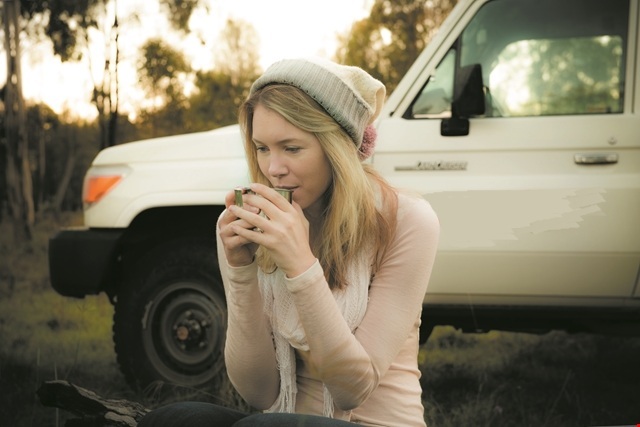 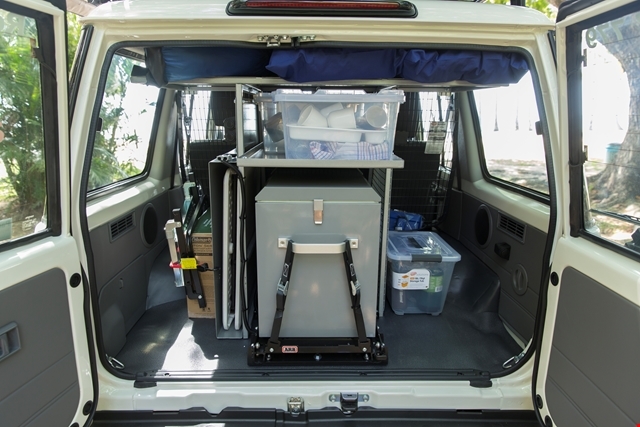 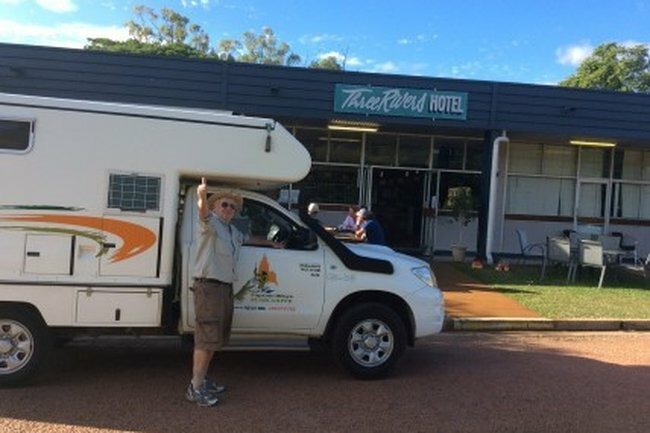 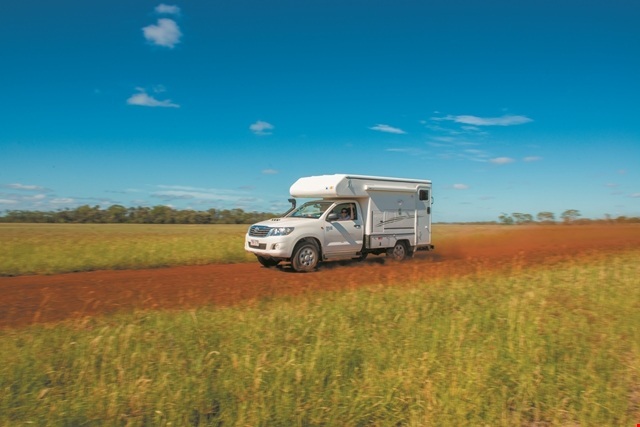 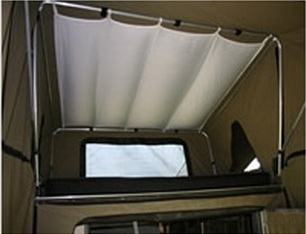 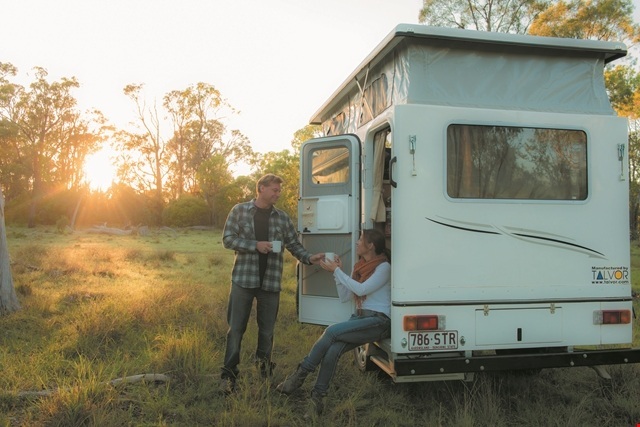 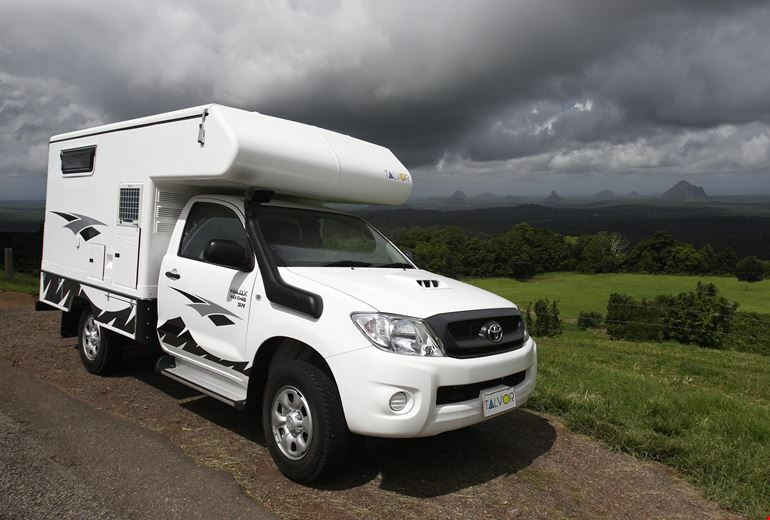 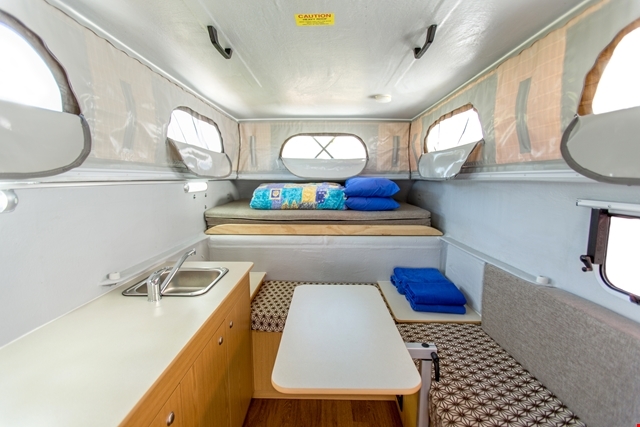 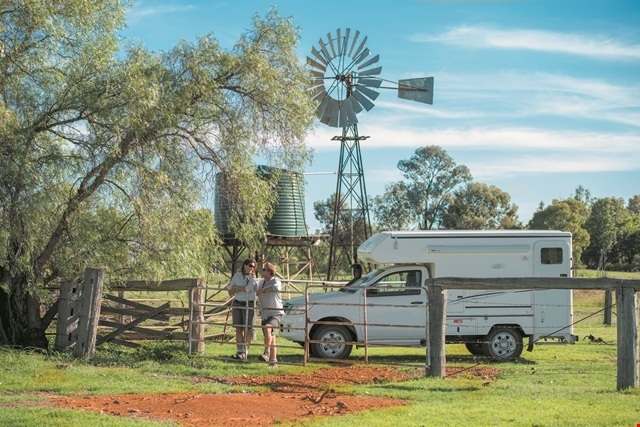 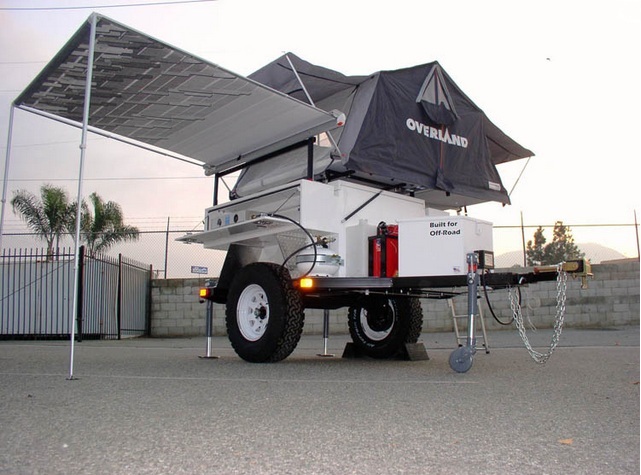 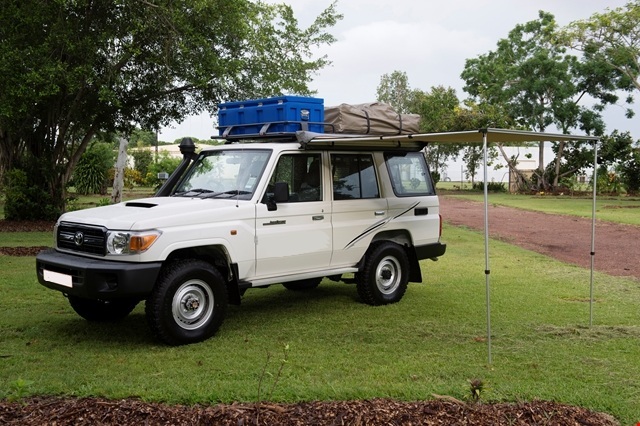 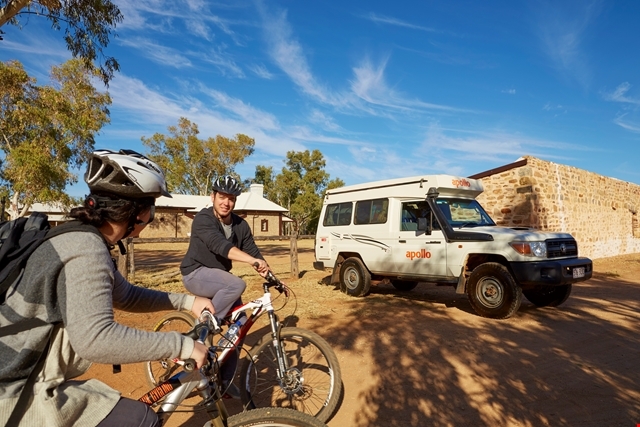 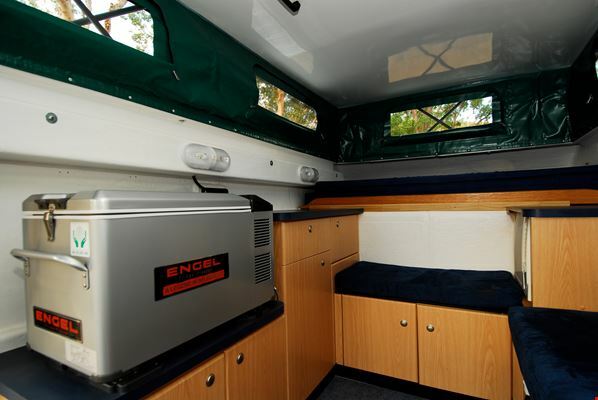 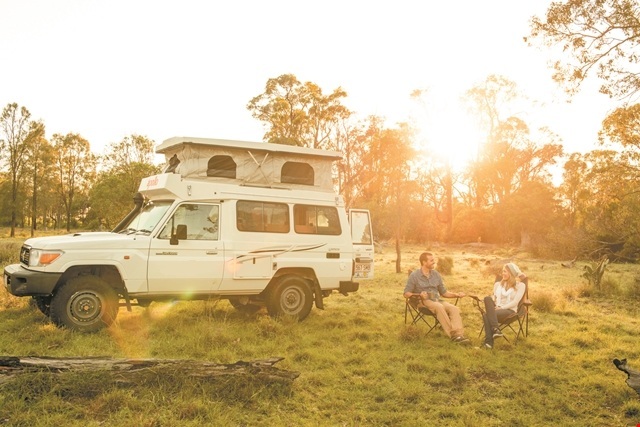 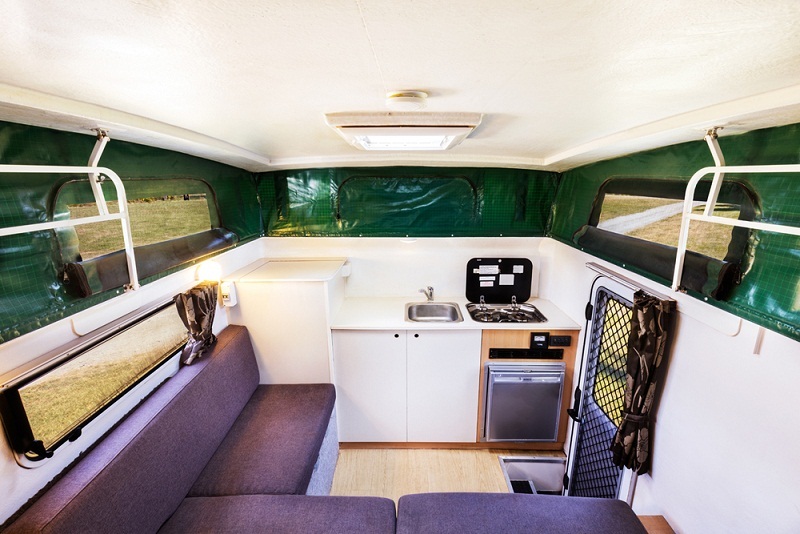 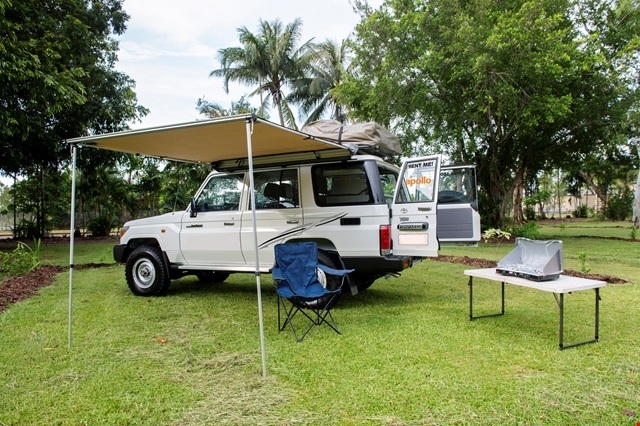 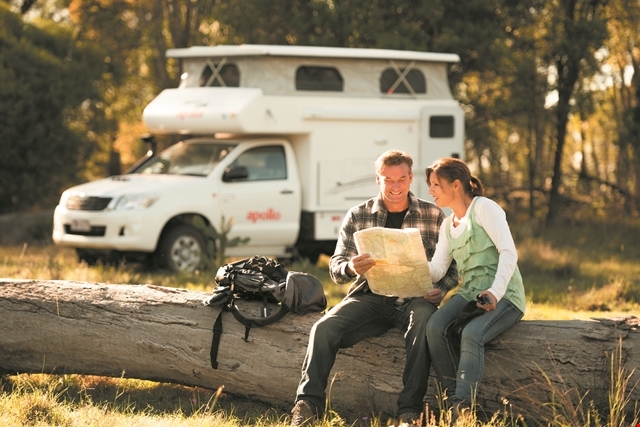 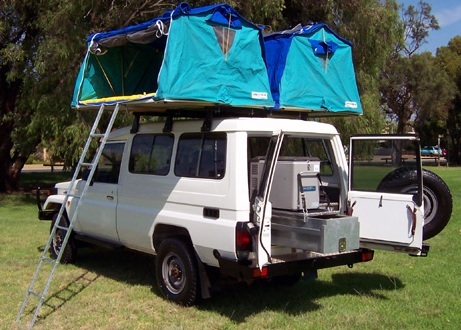 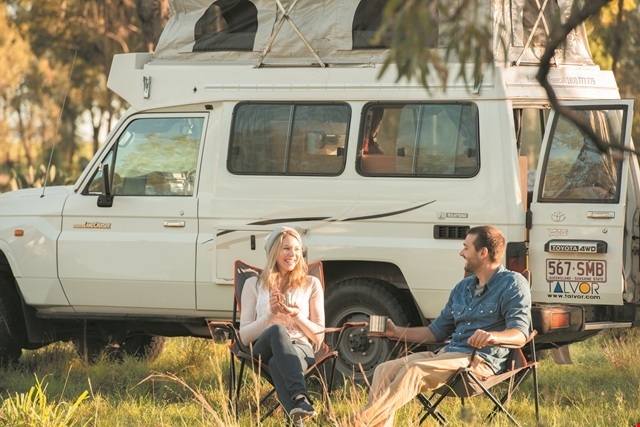 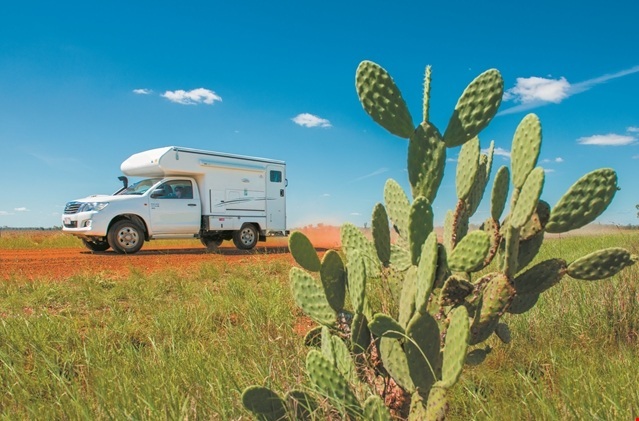 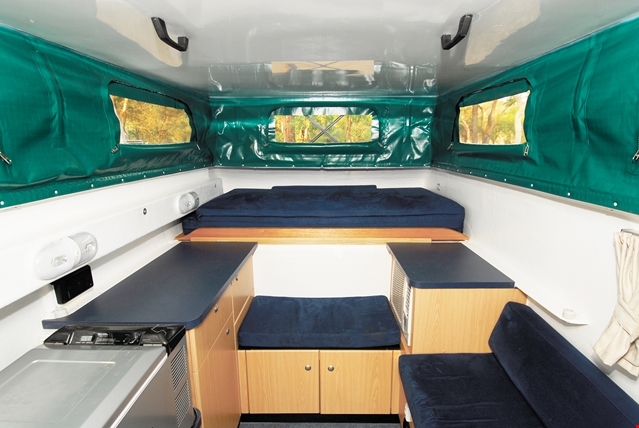 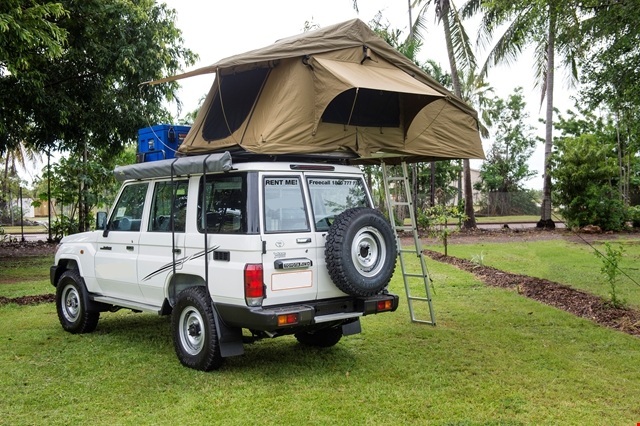 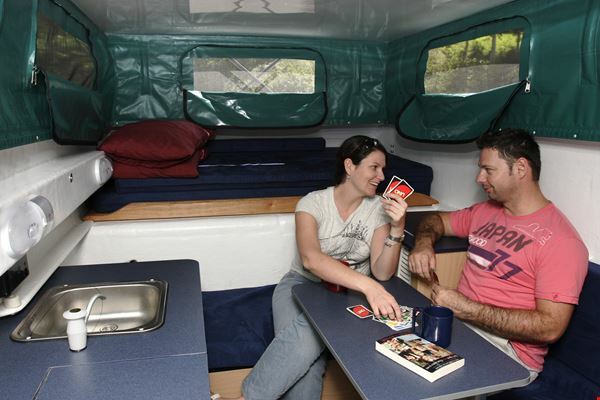 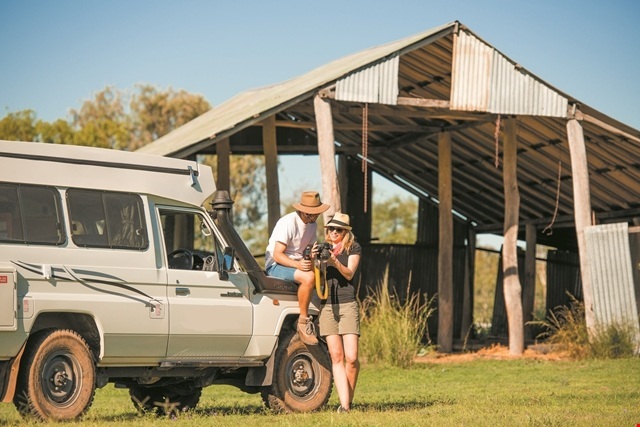 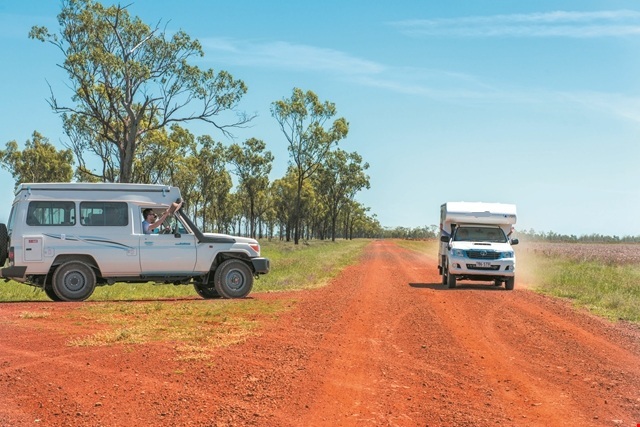 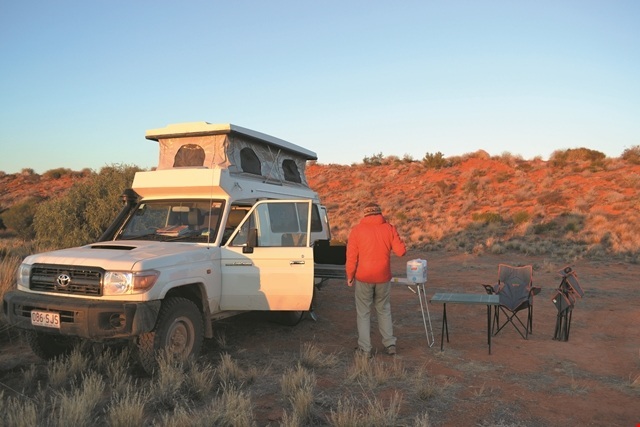 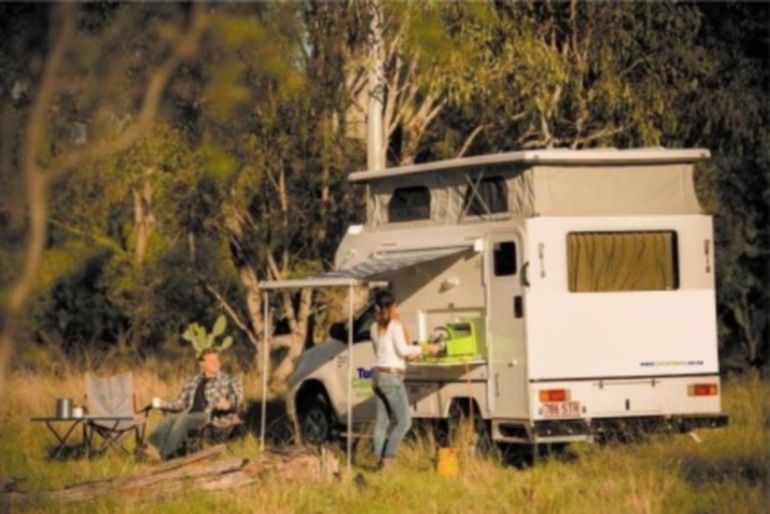 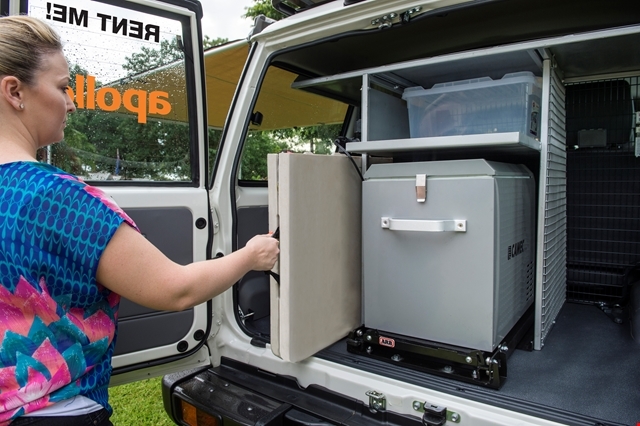 Campervan Hire offers affordable 4WD rental from all the leading suppliers within Australia. 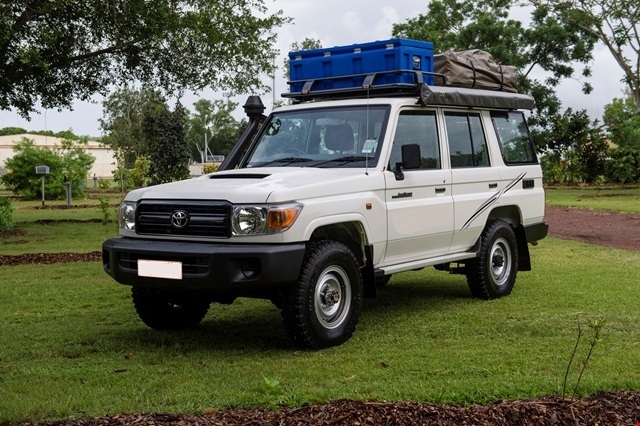 Our company works directly with the 4x4 hire companies to ensure that we are able to offer you deals that no other 4x4 hire supplier can. 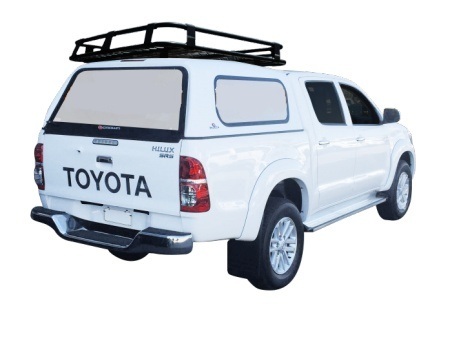 We offer each customer a guarantee that we will be the cheapest quote they receive or we will match that quote! 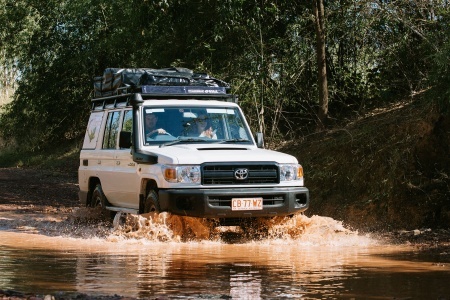 There’s no risk, only great 4x4 hires, and great customer service. 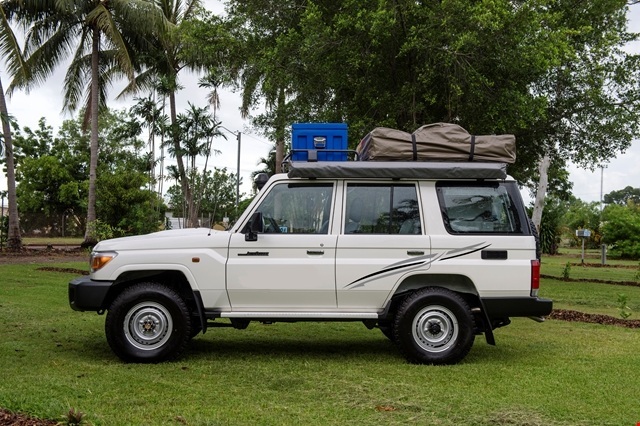 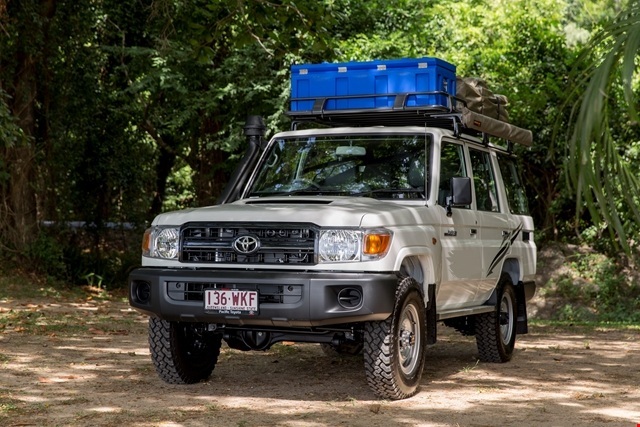 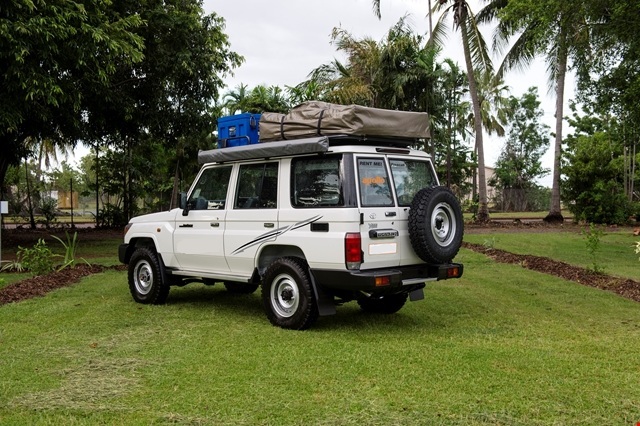 Just locate our “Get a Quote” travel form found on this page to receive a low-cost quote on a 4x4 hire Australia. 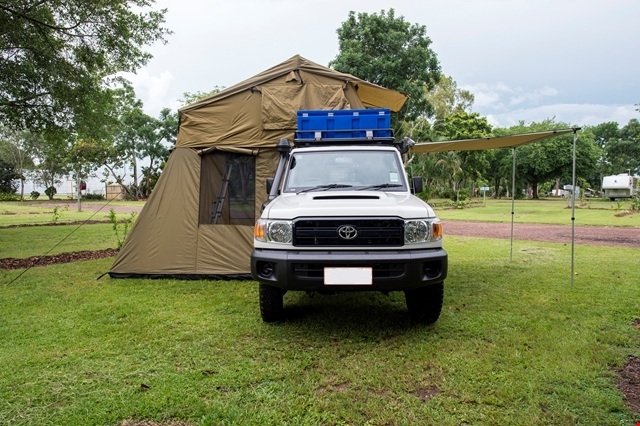 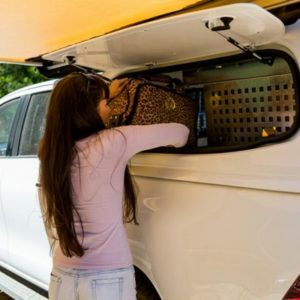 All that’s required is for you to provide us with your travel dates and holiday needs in a 4x4 and we’ll quickly present you with the best quote you’ll receive, or we’ll match the quote! 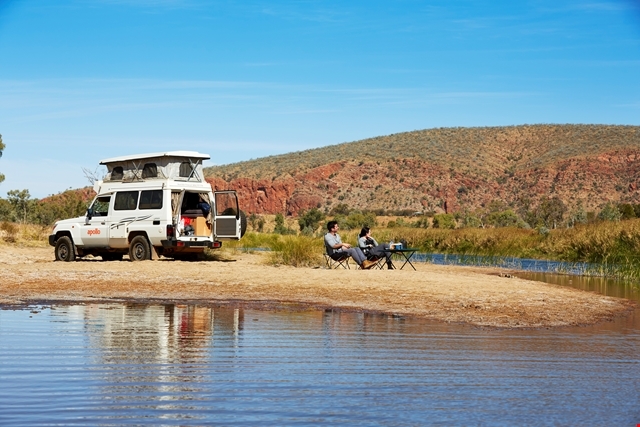 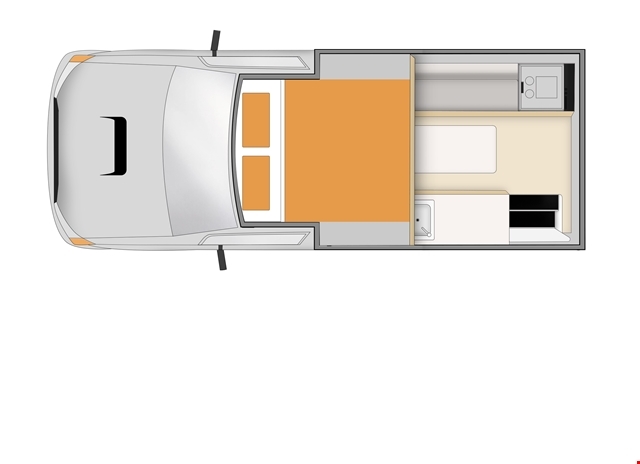 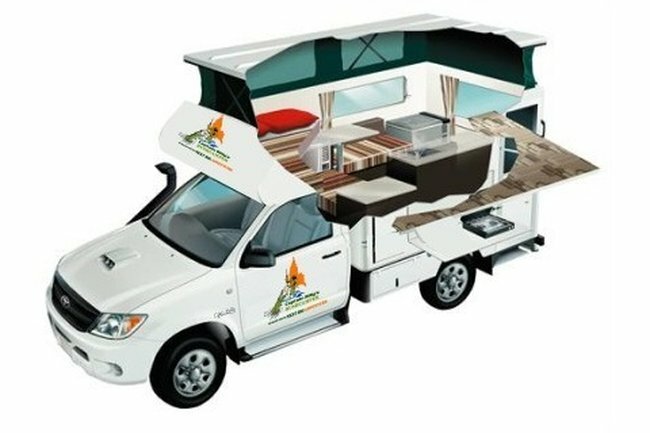 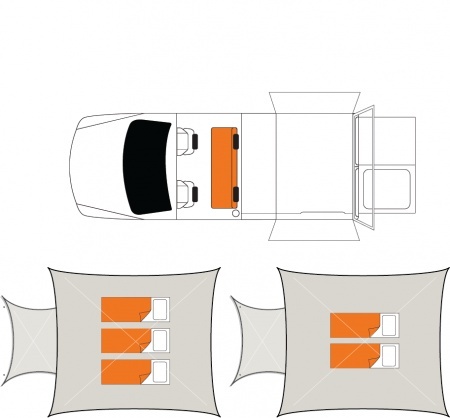 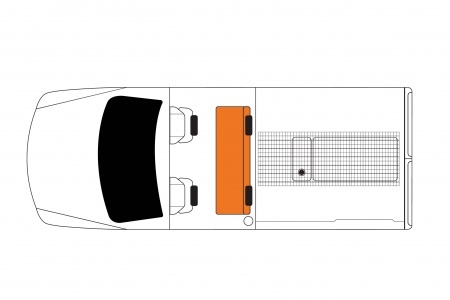 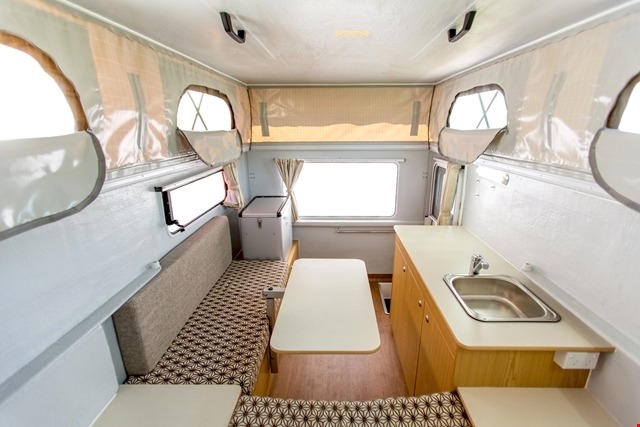 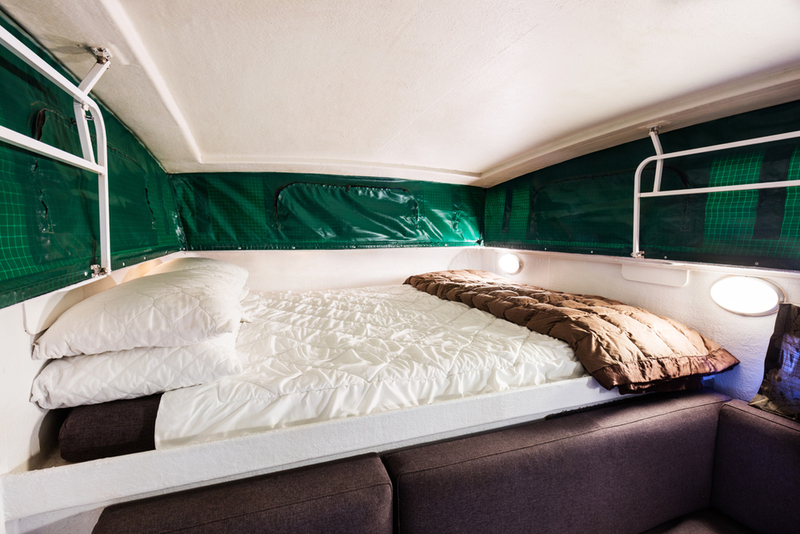 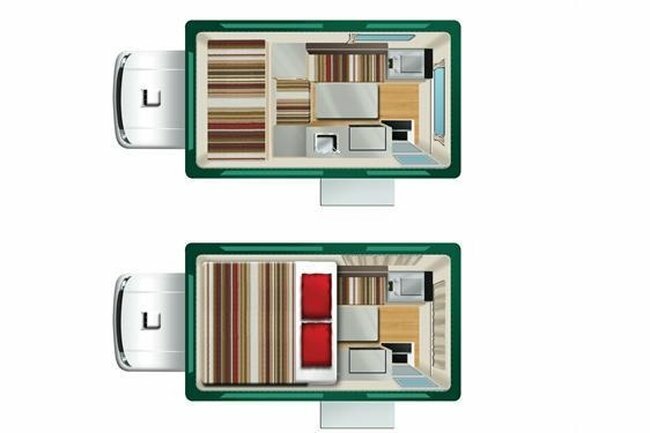 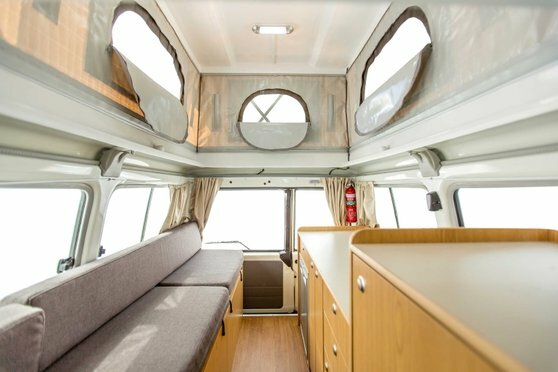 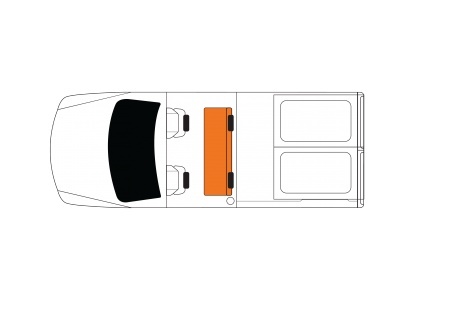 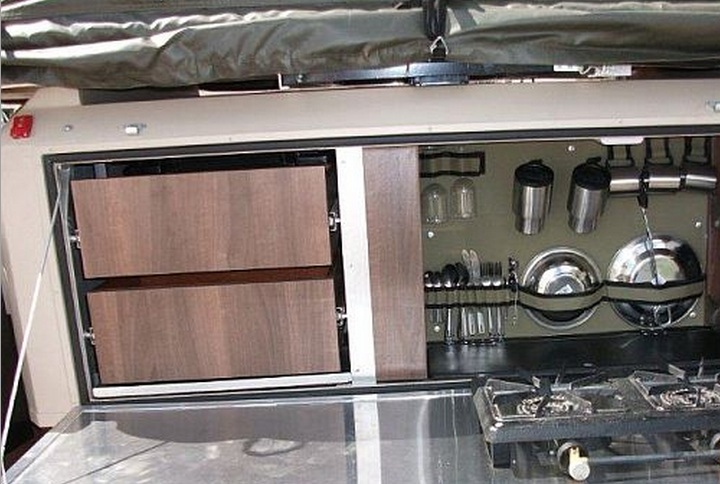 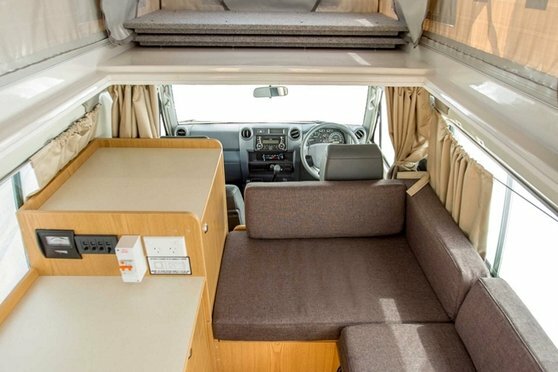 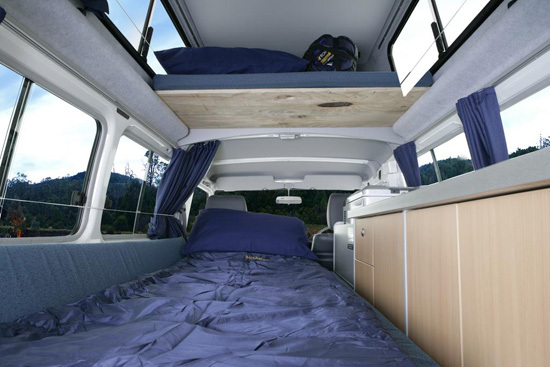 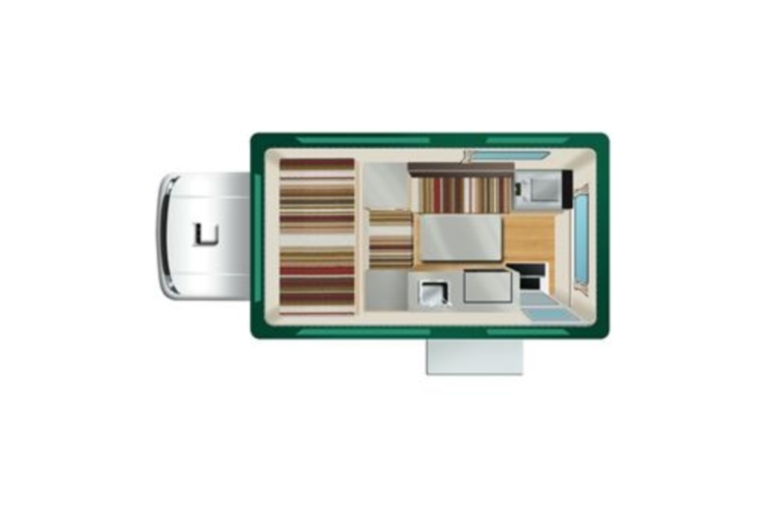 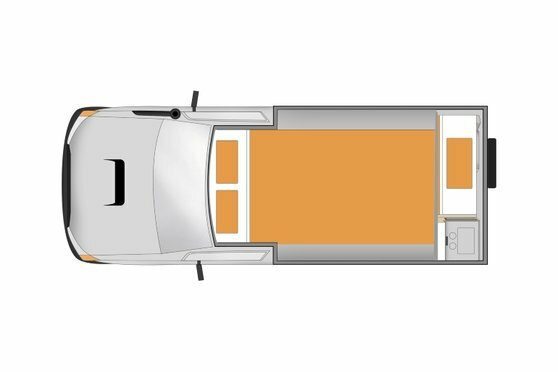 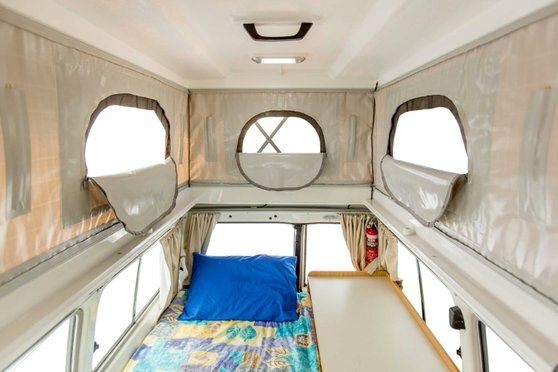 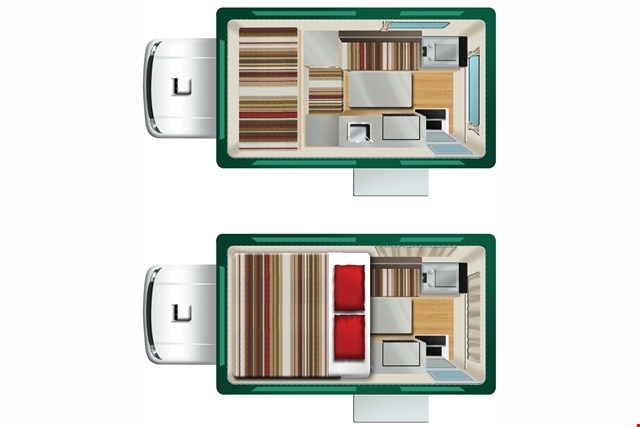 Campervan Hire is the solution to your holiday needs. 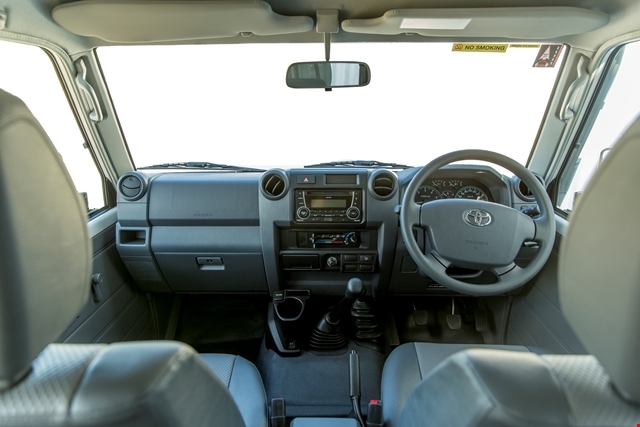 Fuel: Diesel Petrol Tank: 90 litres Fuel Consumption: 14(km per litre)14L per 100km approx. 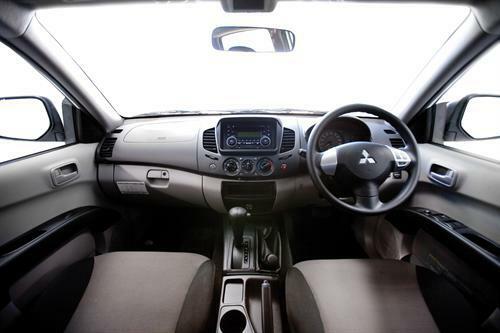 Seats: 3	Baby/Child seat cannot be fitted. Water: 90 litres Hot Water: No Water Filter: Yes Cold water pressurised. 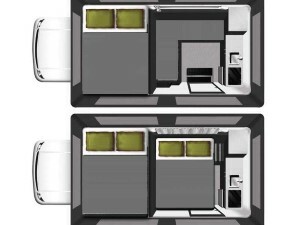 Linen w/ Bedding Included: Yes Linen/ bedding can be rented at an addition cost. 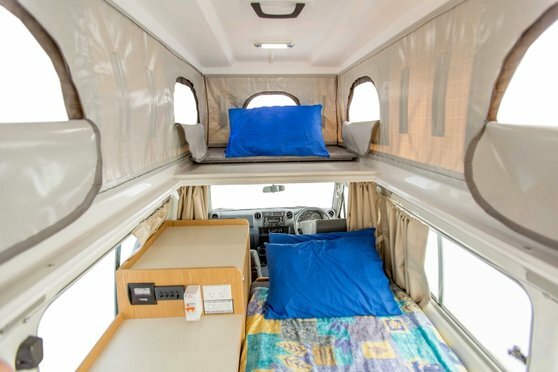 Sleeping bag/ Pillows are provided. 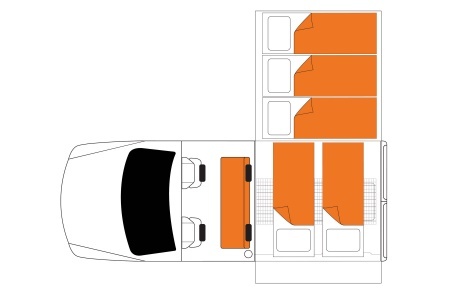 Seats: 4	Baby/Booster Seats: Yes, these can be fitted. 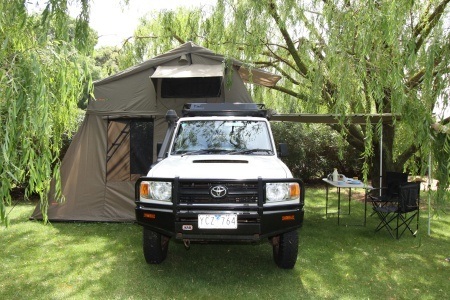 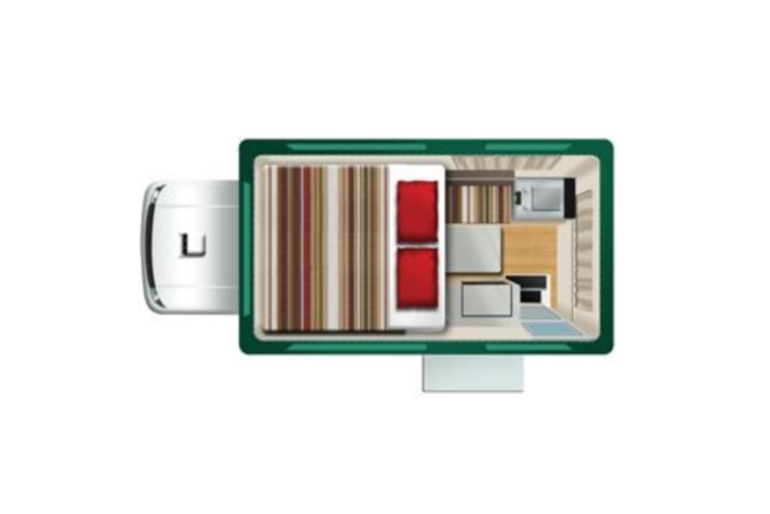 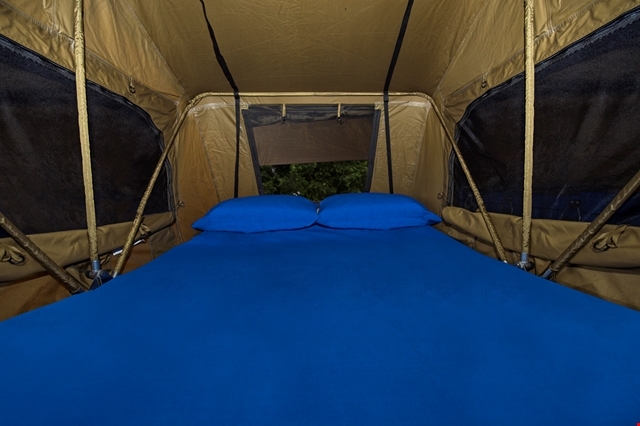 Linen w/ Bedding Included: Yes All bedding, linen, cutlery, crockery and cooking equipment is supplied. 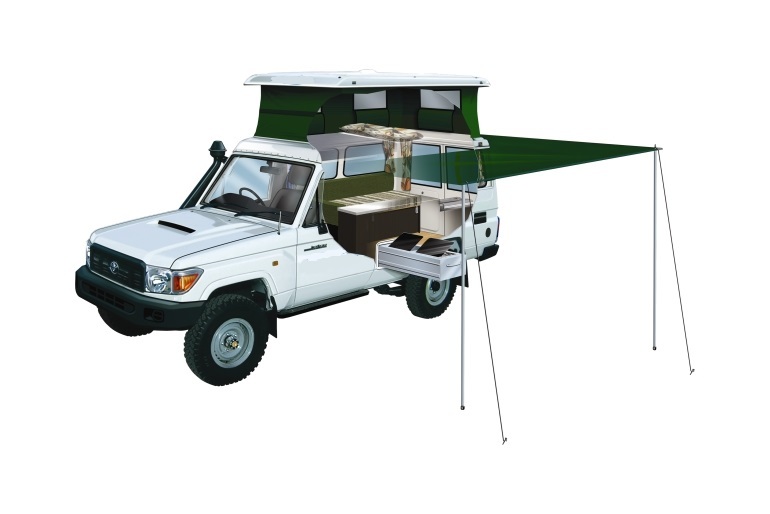 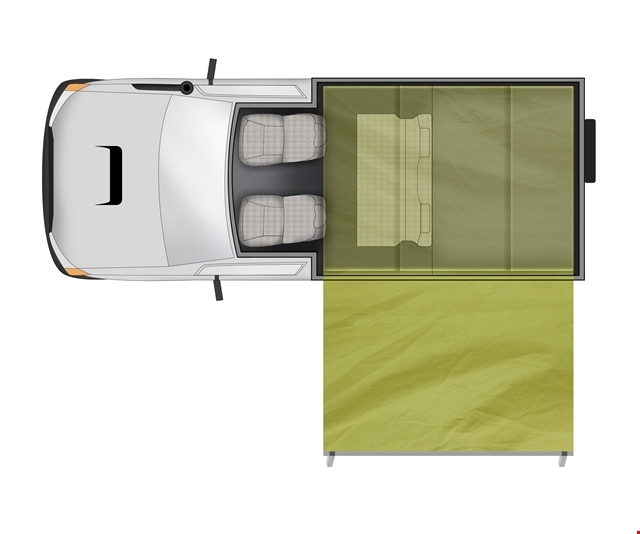 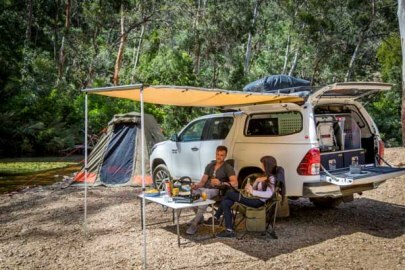 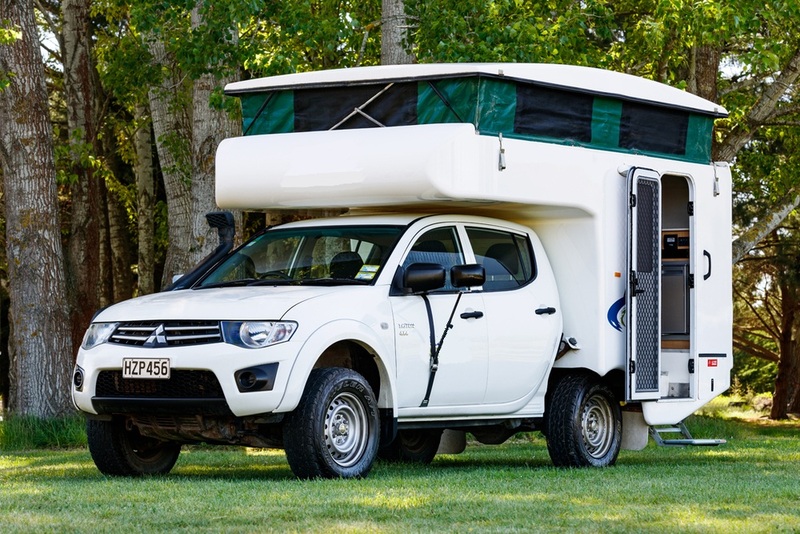 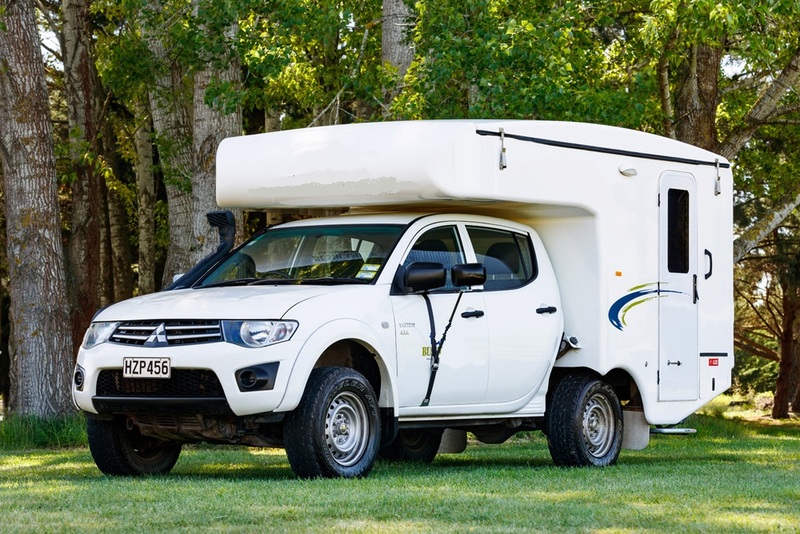 Age: 2009 to 2010 Mitsubishi Triton Bushcamper 0-6 year(s) old. 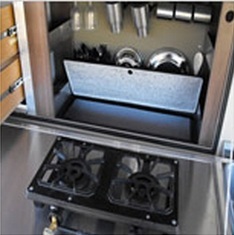 Heating: Yes ir-conditioning/heating in drivers cabin when engine turned on. 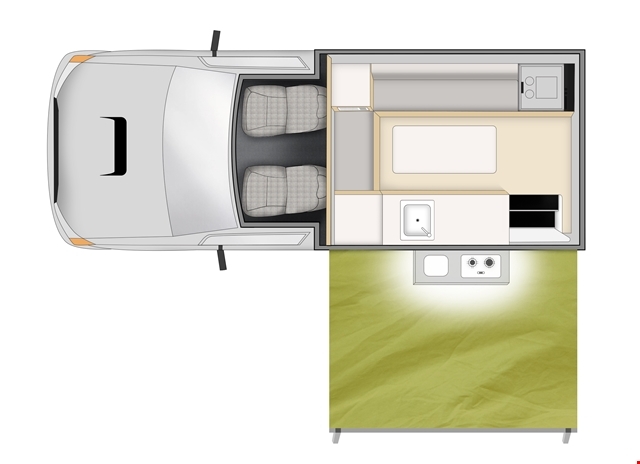 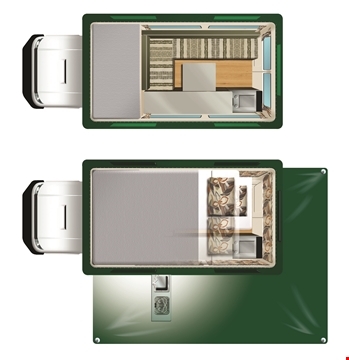 Main cabin air-con needs to be plugged into a 240v camp site.